The only place to go for a quality glass of vino is a wine bar. 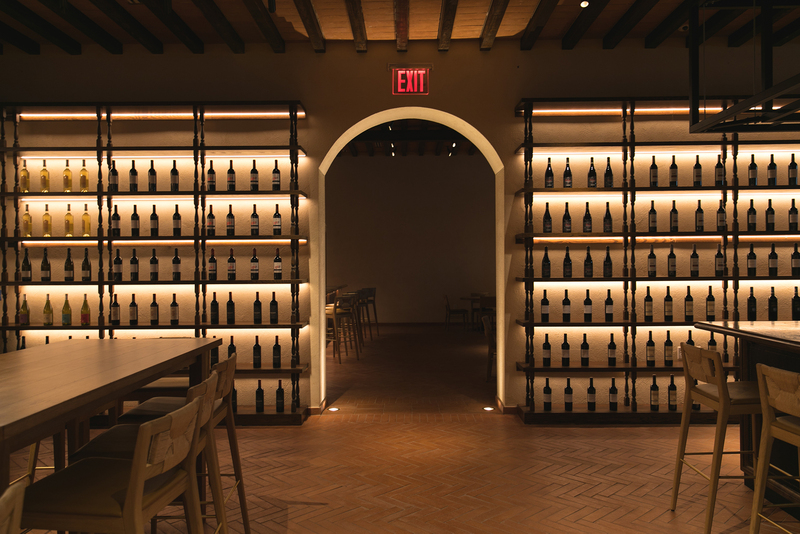 Miami, fortunately, is home to many more designated places than before—charming nooks where oenophiles can uncork new varietals, discover boutique labels and unwind with a rare vintage. 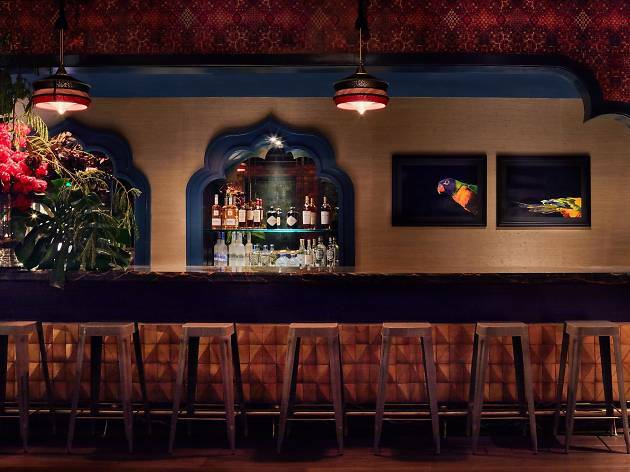 More than basic watering holes, these Miami bars, as well as several of Miami’s best restaurants, offer the area’s die-hards plus those just graduating from the boxed stuff places to comfortably swirl and sip all sorts of varietals. What is it? 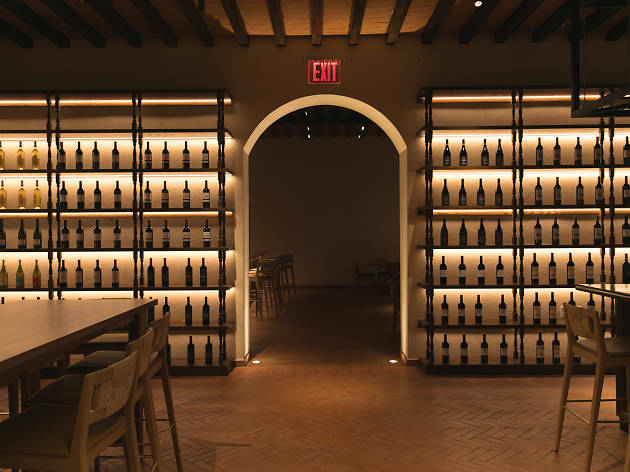 It might look like a serious wine bar—sleek, modern and boasting dozens of varieties by the bottle and the glass—but Uvaggio doesn’t take itself too seriously. The menu is equally filled with hilarious pop-culture references and insightful tasting notes. Why go? Swing by for happy hour on Fridays and get a bottle and a charcuterie and cheese board for $35. What is it? 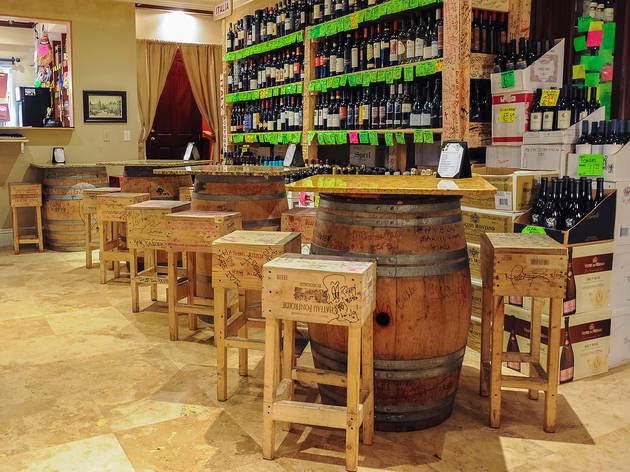 This charming neighborhood spot carries more than 300 varieties of wine from regions as far-flung as Australia and New Zealand. Why go? You won’t find service like this anywhere else in Miami. Husband and wife owners Laura Espinosa and Ronald Torres run the kitchen, front-of-house and work the room, making sure you’re satiated with wine and their signature tostones. What is it? 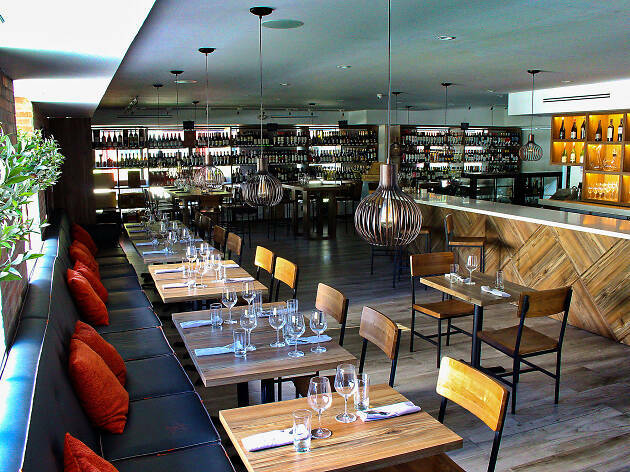 The Coconut Grove shop/restaurant (with a sister location in West Miami) sells affordable wines (we’re talking $7 for cava) and offers a menu of delicious tapas should you want to stay and taste there. Why go? 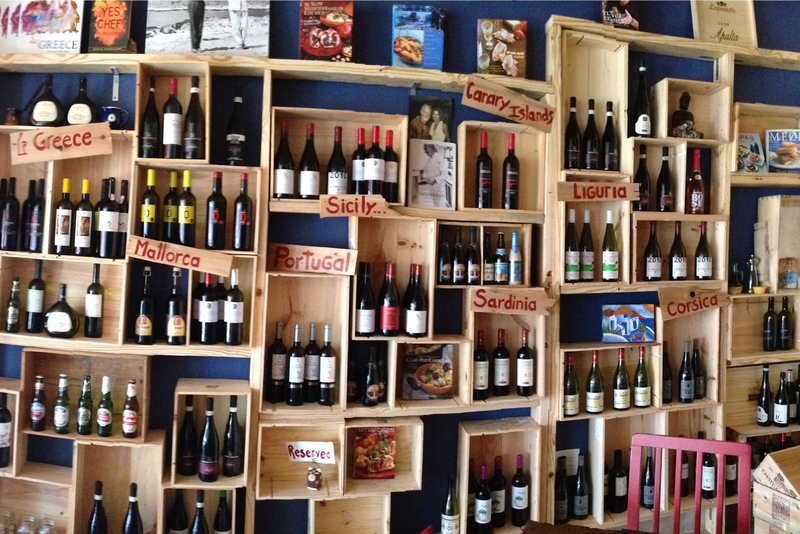 The words wine and happy go together like chorizo and rioja do at Happy Wine. Beyond its reds and hard-to-find Spanish labels, the shop is known for it’s crazy specials like it’s daily $5 happy hour (hours vary) and beat-the-clock pricing on champagne Sunday through Thursday. What is it? Vinos in the Grove returns to the neighborhood with a new location on McFarlane Road, a larger patio and a fresh selection of wines by the glass and bottle. Why go? 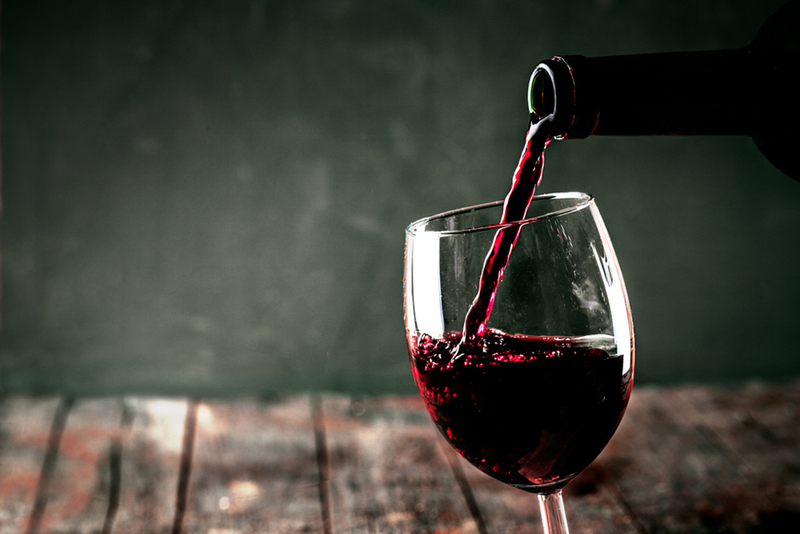 Weekday happy hour runs from 5 to 7pm, featuring $6 glasses of tasty reds and crisp whites. 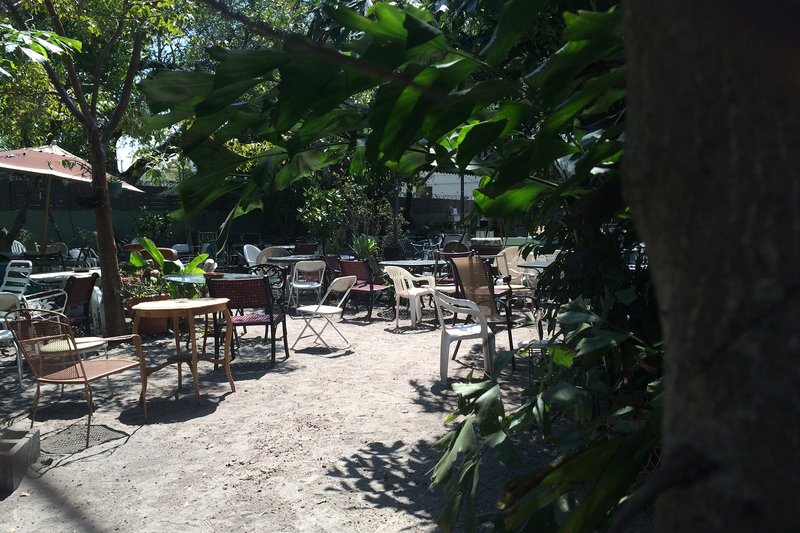 And with more room outdoors, Fido can join you for a post-work drink. What is it? Pumping gas has to be one of the most tedious tasks associated with driving, except when your neighborhood gas station doubles as a charming little wine bar. Make a beeline past the energy drinks and you’ll find this hidden gem just beyond the registers. Why go? 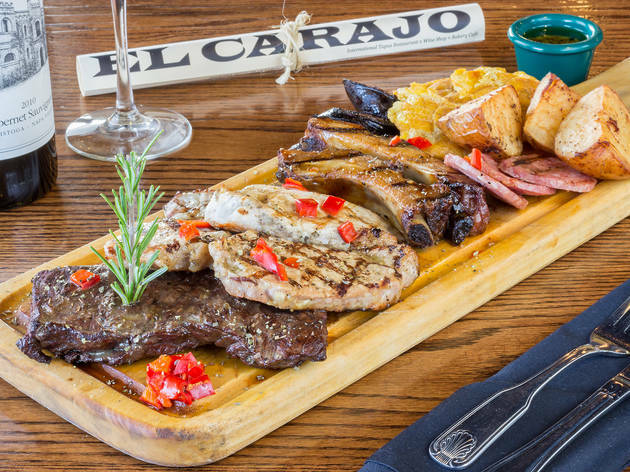 Bring a DD with you to El Carajo and choose from more than 1,500 bottles to uncork and savor for just $10 (corkage is the same if you bring your own and half-bottles are just $10 to uncork). 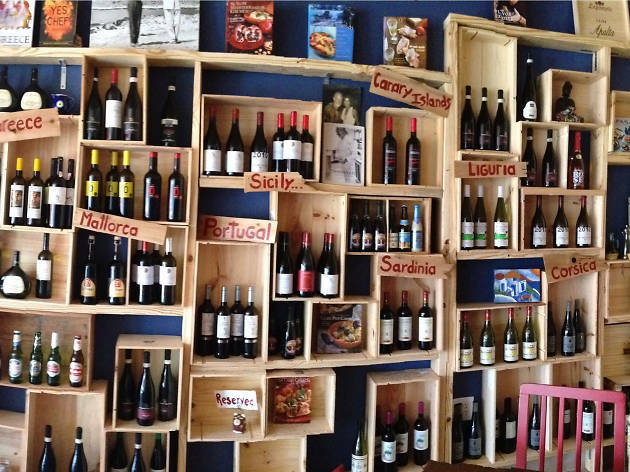 There’s a full Spanish tapas menu available to pair with your vino. What is it? It’s all about Italian styles at the South of Fifth wine bar and restaurant (with a sister location in Coral Gables). 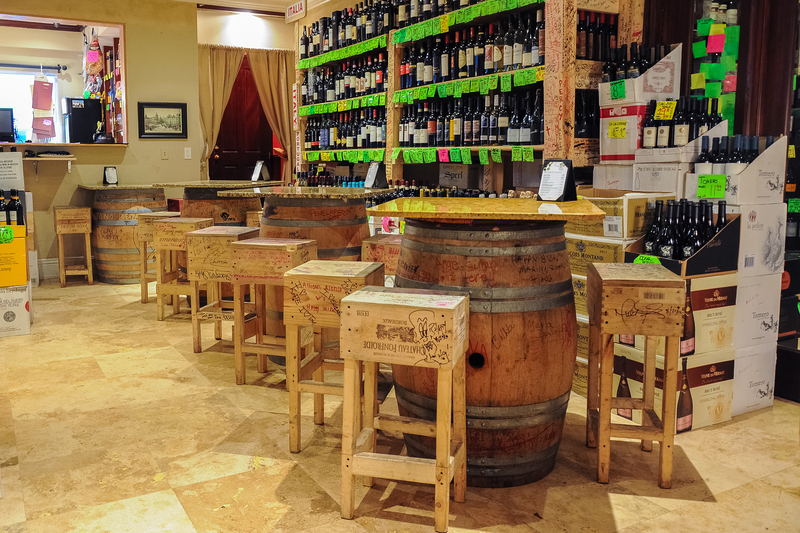 Its two-story enoteca is stocked with 3,500 bottles, so there’s never a reason to sample the same varietal twice. Why go? 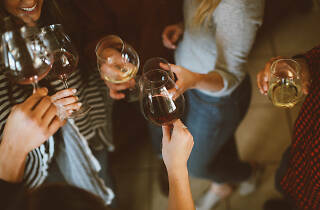 On Thursdays, ladies can enjoy free vino from 6 to 8pm while gents can take advantage of half-price wine, cocktails and beer from 4 to 7pm. What is it? 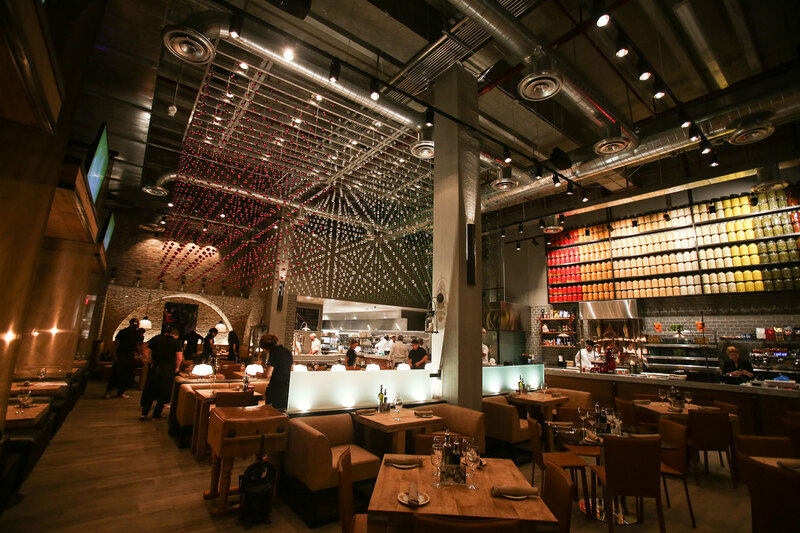 Drinking here—the third level of La Centrale’s massive Italian food hall—is like taking a wine tour through the country. 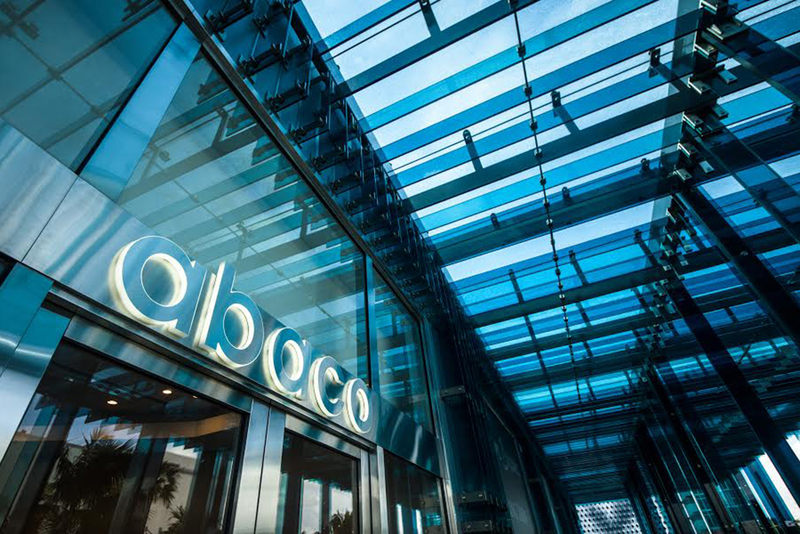 The wine bar boasts 450 wines, 20 of which are special bottles that explore Italy’s numerous regions. Why go? Take advantage of the prix-fixe enoteca menu, featuring your choice of two courses for $20, and pair it with a three- or five-glass flight for a complete Italian experience. What is it? 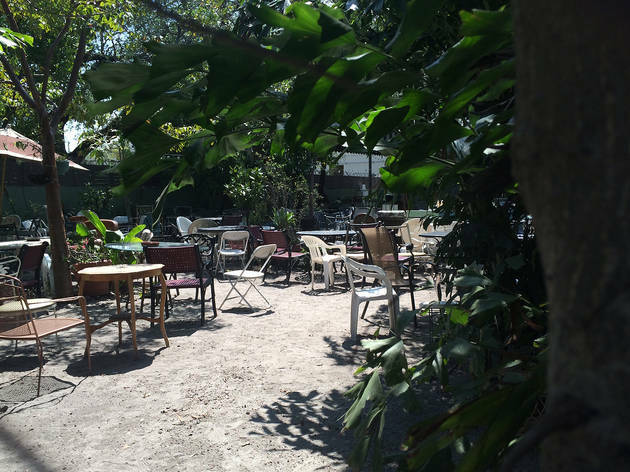 One step above cracking open a bottle of wine in your yard, Lagniappe’s outdoor patio is a chill laid-back to Miami’s more buttoned-up wine bars. Why go? 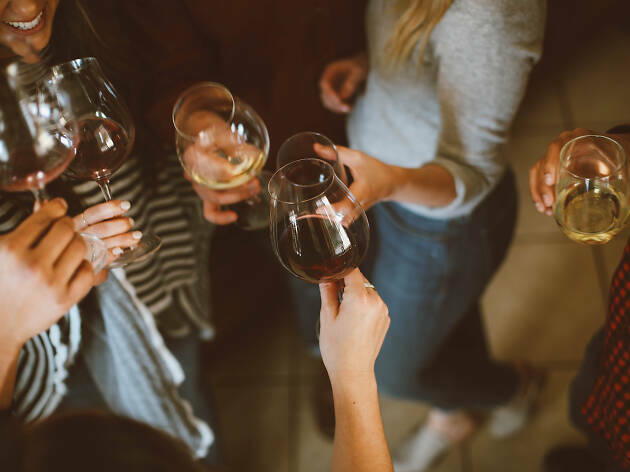 There’s no sommelier telling you what pairs with what, but there are several large coolers stocked with familiar labels and small-production wineries you can afford to discover—bottles are sold at retail price instead of the usual bar markup. What is it? This sprawling, shop-turned-restaurant boasts more than 700 labels. Find something you like on the wall and enjoy it with dinner for a $10 corkage fee. Why go? 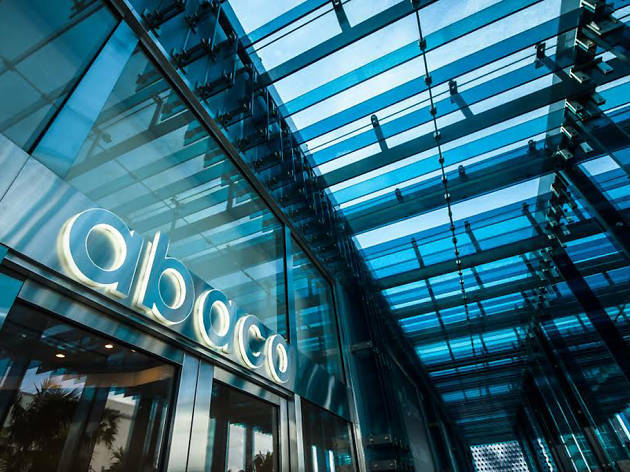 Bacco places equal emphasis on the food as it does its wine selection. Head to the Mediterranean spot to pair your boutique red with a delectable spread of tuna tartare, stuffed dates and more. What is it? 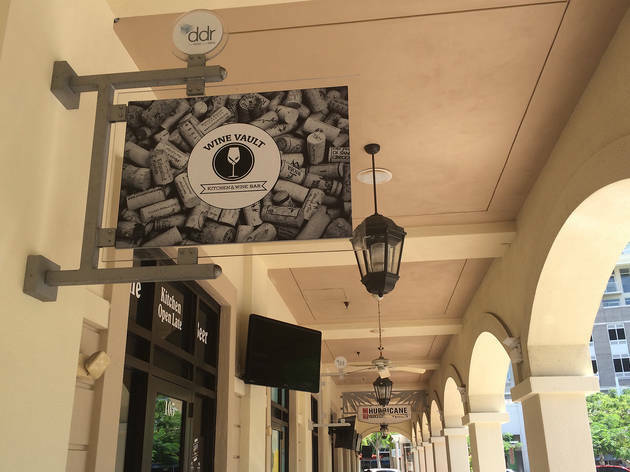 This upscale Design District wine boutique stocks rare labels and limited production wines, which you sift through on iPads. Why go? Don't let the bougie exterior full you; Abaco hosts all sorts of fun, interactive events such as Salty Donut pairings and rosé tastings. What is it? 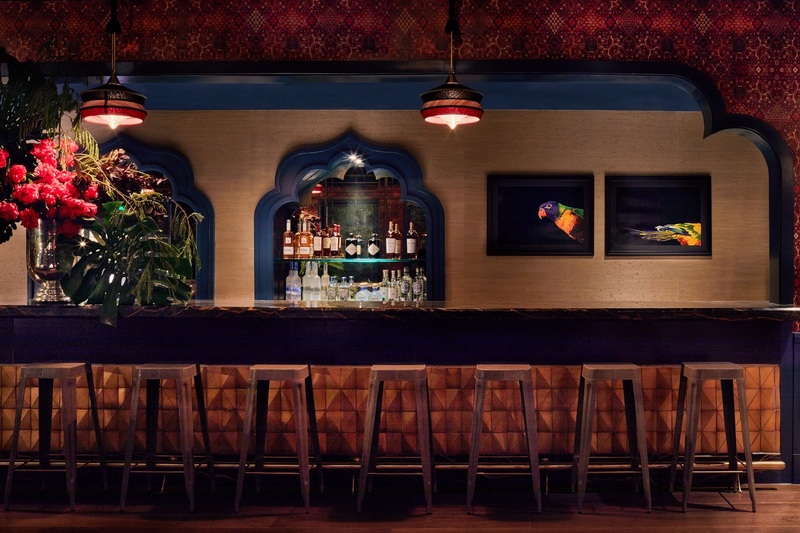 Rustic and cozy, Bunbury brings a slice of Argentinean vino bar culture to Wynwood. Why go? 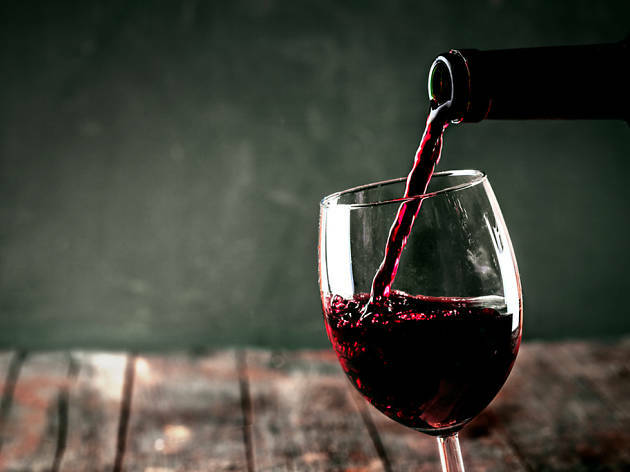 It’s one of the better values on wine in Miami, especially during happy hour when glasses are just $5. 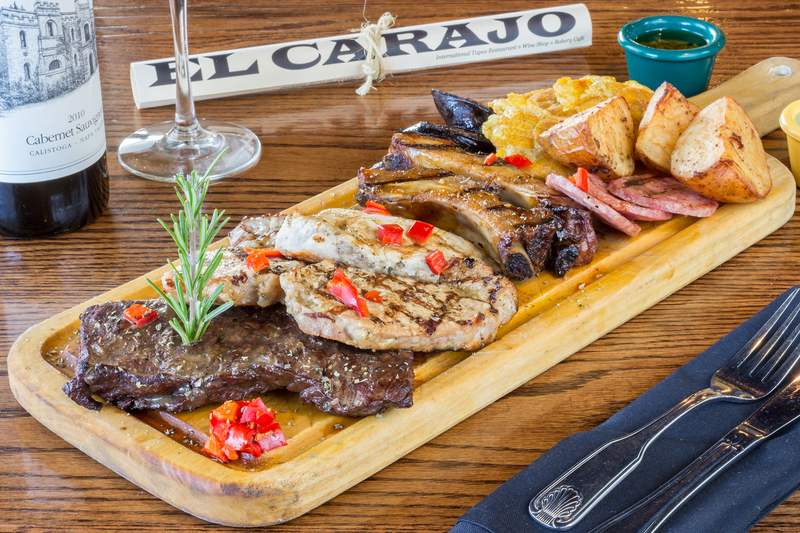 Pair your malbec with a tabla of assorted meats and empanadas and you’ve got yourself a meal. Feeling something lighter? Try one of the refreshing wine-based cocktails, like a mojito or sangria featuring fresh fruit and herbs. What is it? Liza Meli’s eponymous wine bar stocks mostly natural Mediterranean labels, all of which are artfully displayed on the wall and clearly labeled for easy picking. Why go? Oenophiles interested in a deeper dive are invited to Meli’s monthly wine dinners on the first Sunday of each month, when she brings in winemakers from around the world to chat about their product over wine and tapas. What is it? 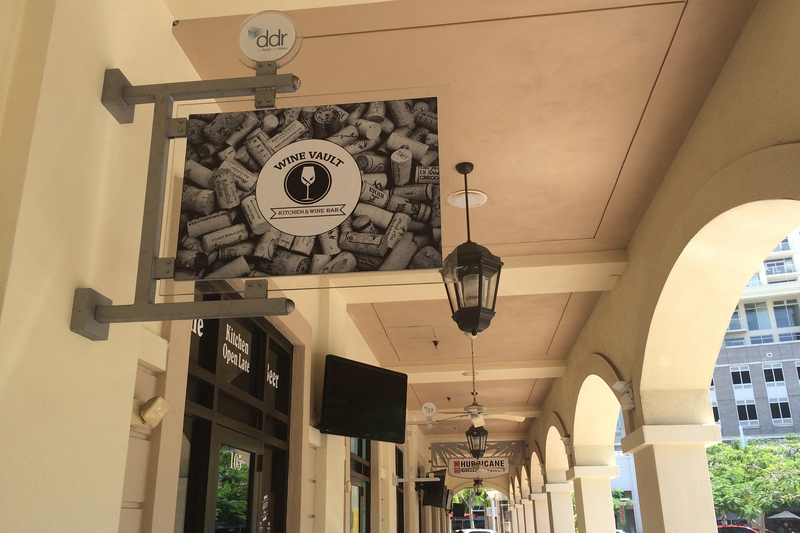 A tiny wine bar tucked inside the Midtown Miami Shops, offering a quiet respite from the busy retail neighborhood. Why go? Wine Vault offers a healthy variety of reds, whites and rosés, plus a selection of charcuterie and cheese boards to pair with your vino. In the mood for something stronger?